Hiya !! Do you want to start your own blog this year ? That’s Great ! This post is for you ! But how to get started? Today I am going to tell you how to start blogging and important things that will help you to become a successful blogger. Many people think that getting started the blog is very difficult but I promise you I will tell you everything in a simplest way that you will easily get to know that how to start blogging. Three years ago, I was also one of you. I had no idea about how to start a blog. But as a SEO expert I need to write some blogs and articles for my website. Then I started following some websites for learning how to become a successful blogger and I came to know that it’s not difficult at all. After that I write many blogs and articles and submitted to many websites. Now my blogs are very popular. Firstly, if you have not write any blog yet and wondering how to get started then you need to follow some steps to learn you can begin starting a blog. Why should you join blog community and create a blog ? 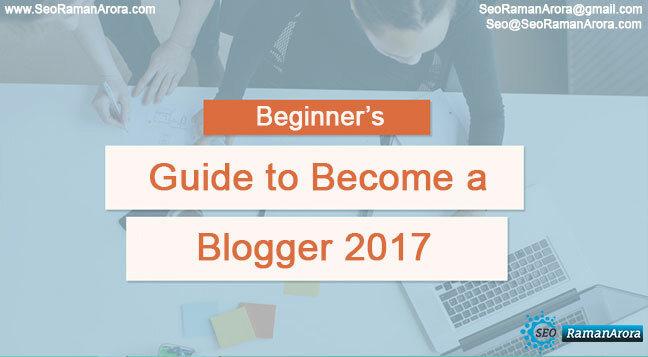 Before telling you the essential steps for starting a blog, you should know why you should join the blog community and create a blog. The best reason for creating a blog is that you can earn money by doing this. It helps you to become a successful and best writer. It is best way to share information among people. It is one of the best ways to express your own views to others and increase communication with them. I think now you all know why you should start blogging. Let’s move further. There are mainly five steps for creating a blog. You have to follow these steps to create your own blog and you will see that it will just take about 30 minutes to create a blog. Choose a hosting option for blogging. Register a domain name for your own blog. Choose useful resources that add value to your blogging. So without wasting our much time, lets discuss these five steps thoroughly. Choosing a right platform for blogging is an important decision which helps to publish your content on web. There are many blogging platform presently available on web such as blogger, tumbler, drupal which are completely free and gives you ability to setting up a site easily and in a very few steps but my choice is always WordPress, which is the most popular, user friendly and biggest blogging platform in the world. If you are WordPress Expert, then its good, else you can read this blog for startup. It provides you countless way to design and layout your blog. It offers a wide range of plug-ins and add-ons. It provides you many support forums in case you need any help. It offers a wide variety of free WordPress themes. It offers to share your content easily with others on web and they can communicate with you as well through commenting on your blog and asking question about the post. It is one of the secure system among other blogging platforms. There are also other blogging platform available which are free to use and every platform has its own pros and cons. You can choose any of them according to your choice. I will also helps you to choose a right platform for your blog. Click on the link given below to know every pros and cons on different blogging platform available on web then you will get idea about which is the best platform for your blog. Before purchasing a web hosting it is very important to decide whether you want self-hosting or free alternative which means you want to pay for your blog or took a free one. This is one of the biggest decision that you have to make before moving further. If you are very passionate about blogging and want to become a famous and successful blogger then you should go for self hosting which makes you the real owner of the blog and can self host the blog on your own domain name and also you will be able to give name to your blog according to your choice like “www.ClickyUpdates.com” or “www.SeoRamanArora.com” and you can end it with any suffix of your choice like as .com, .org, .net, .co.uk etc. Now you must be thinking that how much it cost to purchase a web hosting. Don’t worry it does not cost an arm and a leg to do that. It only took few dollars to purchase a web hosting usually about $5 to $10 per month. There are some banners, you can opt one of them for your hosting Provider. There are some limits on free blogging. You can not completely take advantage of free hosting. There will be restricted access to all free themes of WordPress and also you will not be able to upload all the images and videos in the blog. You will not be owner of your own blog if you use free blogging. Yes it doesn’t sound good that after writing the entire blog still you will not be able to own your blog because the blog will be published on someone else website as you are using free blogging which means the owner of that website can delete your blog anytime, that means all your hard word for writing the blog will go in vain and no blogger will like this. So, after getting the pros and cons of self hosting or free hosting it may be easy to choose the right one for you. As per my opinion if you want to become a perfect blogger you should go for self-hosting which provides numerous ways to make your content look better on web. SEO Perspective : If you choose a domain with good keywords it will effect the ranking on your website in search engines. You will get higher ranking for your website. Brand Perspective : You should choose a unique domain name for your website, it must be take care that your domain name gives the right impression about you. Your domain name should be short and sharp. Human Perspective : You should choose a domain name that is easy to say,read,remember and easy to type and also must not be confused about some other domain. Legal Perspective : Copyright and trademark are two legal perspective which must be taken care while choosing a domain name. Copyright is very difficult to control but still there are some ways if your intellectual property such as your blogs, website address is used without your permission. You can avoid the legal battles by checking the trademark business name and then checking for similar blogs and domain to avoid these issues. If you are still confused between Domain and Hosting. Then let me help you out to clarify your confusion. Hosting : Web hosting is a service which makes your web page or website visible to others on Internet. If anyone want to see your web page on Internet, all they need to do is type the URL address of your web page and then their computer will be connect to your server and web page will be delivered to them. A web host provide space to its server so other computer can connect to your server and fetch your web page. I hope now you are clear about both the terms. Registering a domain with self hosting option just cost you $12 -15 per year. But here comes a good news for you !If you register your web hosting with iPage you just have to pay $2.5 for it and get the domain free. If in any case you don’t want to go for iPage for domain name you can also choose any other hosting company. After choosing the domain name, next step is to install the WordPress on your web page. If you are choosing iPage then after sign-up you can get the one click option for install the WordPress in the admin panel of iPage. You just have to click that button to install the WordPress. 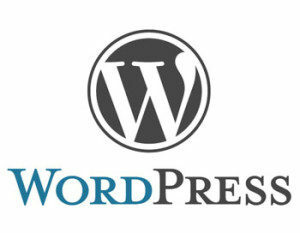 Once WordPress is installed on your web page, WP-Admin page www.yourblognamehere.com/wp-admin will be appeared to you. Here you can start blogging by writing a new post. At a first glance, you might be confused about how to use WordPress by looking at the dashboard. It may be annoying to you to understand it. But don’t worry it is not difficult as it look in starting and later you will become very comfortable by using this platform. Moving further, lets make your blog look as you want. For that you have to choose a particular theme for your blog. To choose a theme go to appearance panel and select theme. There will be number of themes available on WordPress and then you can install any theme which makes your blog look better. WordPress has also an amazing feature that you can change your theme with few clicks. Remember to choose your WordPress theme wisely that it must look professional and can be easily customise because it reflect your personality and also tells about blog you have written. The theme should be choosing according to content of blog. If you are going to write a blog on cooking recopies then there is no use to choose a theme of games. Apart from these, a good theme is required which looks impressive to the viewers and also there must be easy navigation so that viewer can easily navigate among web pages. A theme must be user friendly and the content of the blog must of high quality and fresh so that viewer can enjoy reading your blog and share your blog as well.